The rare, as-of-right residential development site is located on the northwest corner of 3rd and Bond Streets. It contains approximately 46,728 buildable square feet and is walking distance from Whole Foods supermarket on 3rd Street and 3rd Avenue. The property sold for $166.39 per square foot to a Manhattan developer – The Hudson Companies Incorporated, who developed the J Condominium in DUMBO. A Carroll Gardens resident who passed the information along said that "the developer plans to break ground for a luxury low-rise condominium development this summer." 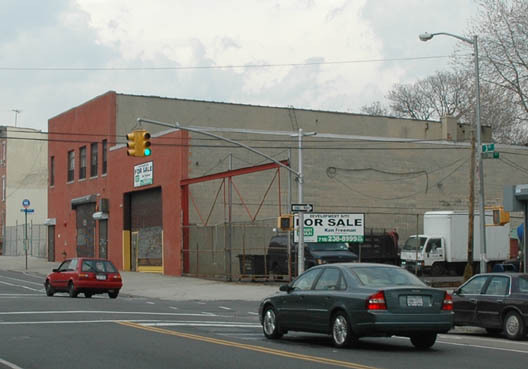 The site can be developed without going through the Gowanus rezoning drama. If you look at the site on Google maps, a lot of that block has residential on it with trees in the back yards. I have to say, from what I hear so far, this does not sound bad. Any idea about flooding in this location? That's the thing that concerns me most about development in the Gowanus basin, that and displacing businesses. here, the business is relocating to Red hook, so it's not a loss to the community. everything that Carroll Gardens is fighting for really doesn't matter. Will Williamsburg Have Serious Gas?